Our product range includes a wide range of glandless transformer oil pump, locomotive traction transformer oil pump, rectifier transformer oil pump and emu transformer oil pump. 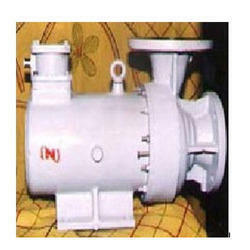 We are a prominent Manufacturer, Exporter and Supplier of Glandless Transformer Oil Pump. Designed in line with international quality standard, Glandless Transformer Oil Pump is used as a degassing system in manufacturing units. The Glandless Transformer Oil Pump is highly suitable for indoor movement and for on-site operations. Furthermore, Glandless Transformer Oil Pump offered by us can be installed easily and require extremely low care and maintenance. We are one of the leading Manufacturers, Exporters and Suppliers of Locomotive Traction Transformer Oil Pump. 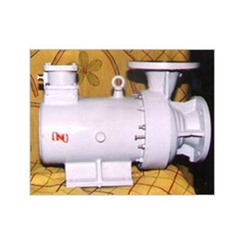 The Locomotive Traction Transformer Oil Pump is manufactured using high grade cast aluminum and CI, which gives tremendous strength to weight ratio. The aluminum avoids the ingress of rust and oxidation. In addition to this, Locomotive Traction Transformer Oil Pump is manufactured with congruence to high manufacturing standards and is mechanically tested and certified before dispatch. Furthermore, our customers can avail from us a wide range of Locomotive Traction Transformer Oil Pump to suit their individual needs and requirement. Our organization is engaged in providing an exclusive range of Furnace & Rectifier Transformer Oil Pump that finds wide applications in a range of industries. Our quality compliance ensures that only premium quality raw material is utilized in the manufacturing of these products. 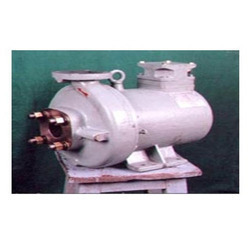 The Glandless Transformer Oil Pumps are assembled as a complete unit and comprise a pump and driving motor, which is mounted as a single unit on a common shaft. The oil of the transformer is designed such that it circulates through the windings, thereby eliminating the cooling fan, shaft seal and avoiding any danger associated with oil leakage or the entry of air. Capitalizing on our rich industrial experience, we hold specialization in providing a wide range of EMU Transformer Oil Pump. Which is made using finest grade raw material, comes in different sizes and specification to fulfill the requirements of various clients. Offered range of product is highly appreciated and demanded in the market for their special features like robust construction, fine finish, durability and optimum performance. We always try to deliver a quality approved range and within a promised time period.